I've been a fan of the Belle De Jour Planners since 2010. I never got to used all the coupons but I was able to share some with friends and relatives as I don't want the majority of the coupons wasted. Last year, I was present in the BDJ Fair where I purchased four planners - for me, my sister and her soon-to-be sisters-in-law. I enjoyed the fair that's why I don't want to miss this event which is happening at the Mall of Asia Music Hall where it was held last year. This time around I promise to document everything about the fair and of course I have to bring a reliable digital camera for some pictures for your viewing pleasure. 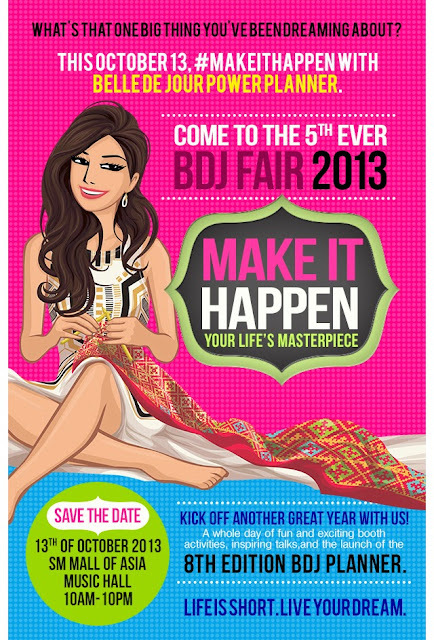 Save the Date for the BDJ Fair 2013! So for the Bellas like me, what are you waiting for? Hurry and sign up now. Thanks to my sister for sending me this information. I'm wondering last week on when and where the BDJ Fair will commence. I got my answer now. For more information, just click on this link BDJ Fair 2013-Make It Happen: Your Life's Masterpiece on Oct13. 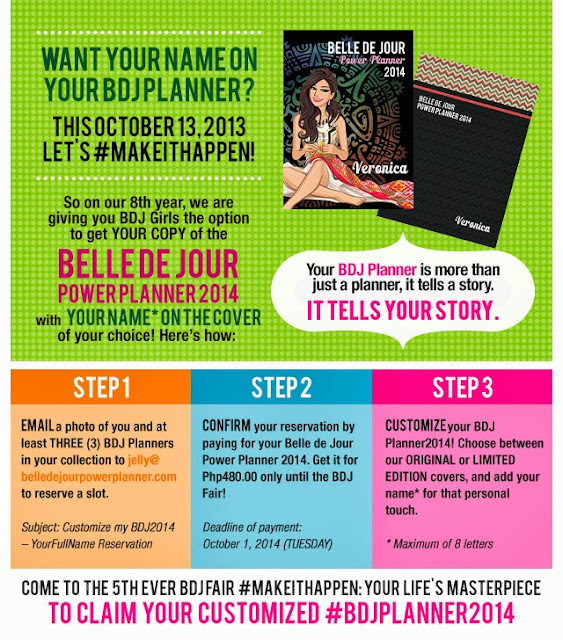 You can also check out the Belle de Jour Planner website. Ms. World 2013 is Miss Philippines!